Local, seasonal, organic? 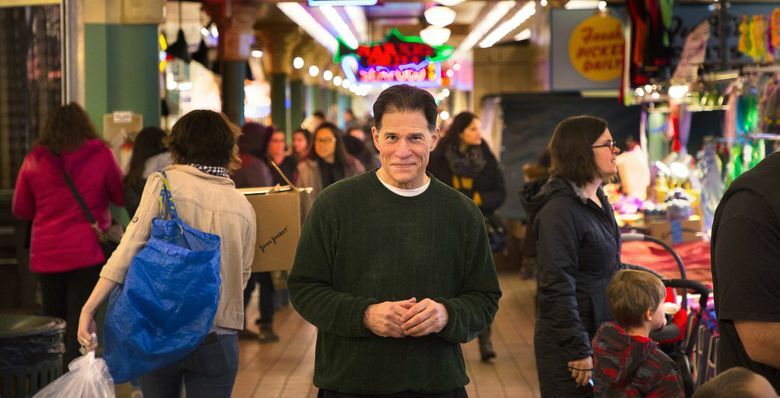 Seattle food pioneer Mark Musick has been preaching it all for four decades. THE YEAR WAS 1977, and ambitious cooks couldn’t even find a leek in Seattle. Belgian endives were literally imported from Belgium. There were no booths of foraged berries and mushrooms at the neighborhood farmers markets, partly because there were no neighborhood farmers markets. Then there was Mark Musick’s harvest at Pragtree Farm, a 20-acre cooperative in Arlington. On the property, he and other members gathered purslane and purple vetch tips, wild mustard, lamb’s quarters and another “exotic” crop — arugula. 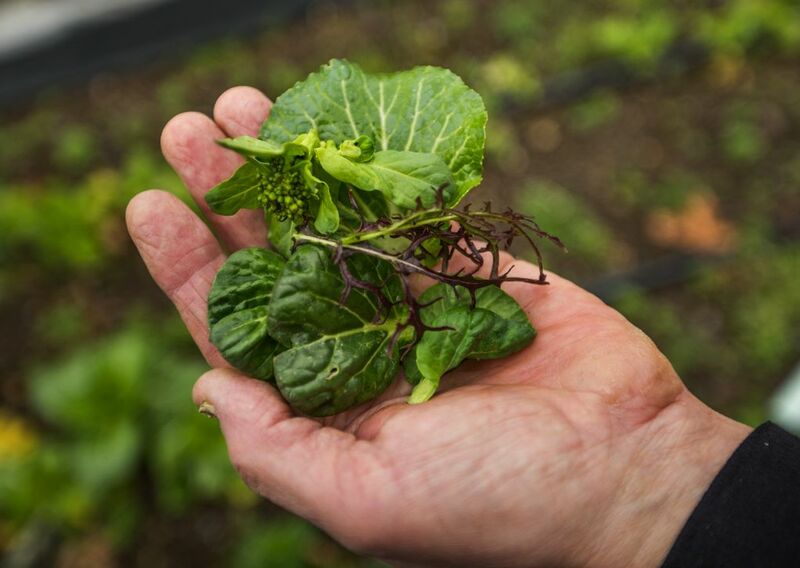 Garnished with edible flowers like calendula petals and fava-bean blossoms, the greens became a seasonal salad when Musick and partner Robin Stern supplied them to Rosellini’s Other Place restaurant in Seattle. There, chef Bruce Naftaly blended them in an avant-garde, ever-changing signature of what we now think of as Northwest cuisine. The “Impromptu Salad” left some customers asking, “Why am I eating my lawn?” and others ordering a second bowl for dessert. By one account, the dish forever changed the way Seattle viewed salads. And Musick himself, over more than 40 years, has influenced our lives far beyond the appetizer course. 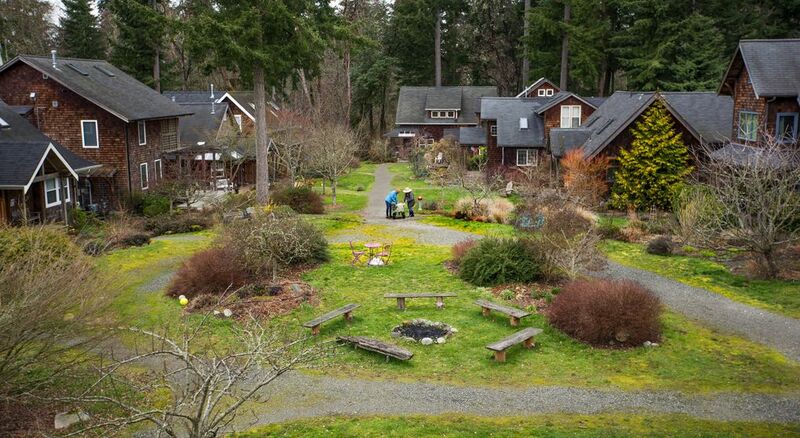 The 69-year-old has been a Johnny Appleseed of sustainable living in the Pacific Northwest, a polished combination of community organizer, grower, marketer and connector. Without Musick’s quiet, behind-the-scenes guidance, our access to local foods — and our ideas about what we should eat and why — likely would be very different. 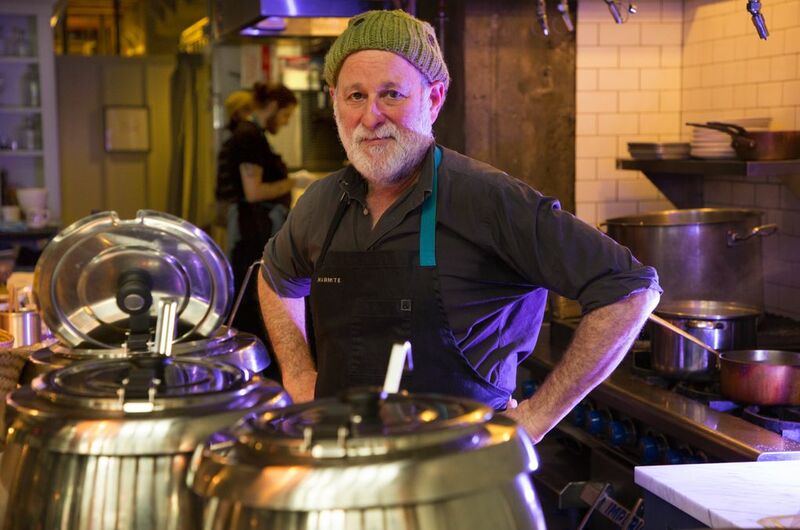 “One could use all sorts of agricultural metaphors,” says Naftaly, who went on to open Le Gourmand, Seattle’s quintessential farm-to-table restaurant, long before the concept became mainstream. That would make a difference when, say, an initiative to save farmland hit the ballot. Even the salad, to him, expressed philosophies of living — permaculture, extending harvest seasons, reducing waste — as much as eating. “We were building the constituency for a better kind of agriculture,” he says. AN UNASSUMING FIGURE with a rich, mellifluous voice, Musick was instrumental in founding the Tilth movement supporting sustainable agriculture: Think organic foods, training for farmers and gardeners, and classic publications on growing food in this region. His work at Pragtree brought local produce into local restaurants and, eventually, households. Health issues — post-polio syndrome, which now leads him to walk with crutches — temporarily pushed Musick back to city living in the 1980s. He targeted a different level of buyer: customers at Larry’s Market, one of the country’s first upscale grocery chains. Musick introduced ingredients like wild nettles, Northwest chestnuts and “corn” from cattail shoots — maybe a little before their time. Connecting with Indochinese farmers who came here as refugees, he helped them bring once-exotic products like bok choy and pea vines into the mainstream. It’s hard to picture how different things were in Seattle just a generation ago, now that “local-seasonal” is practically a cliché. At his job interview with owner Larry McKinney, Musick remembers telling him all the things that weren’t stocked in the deluxe destination stores. 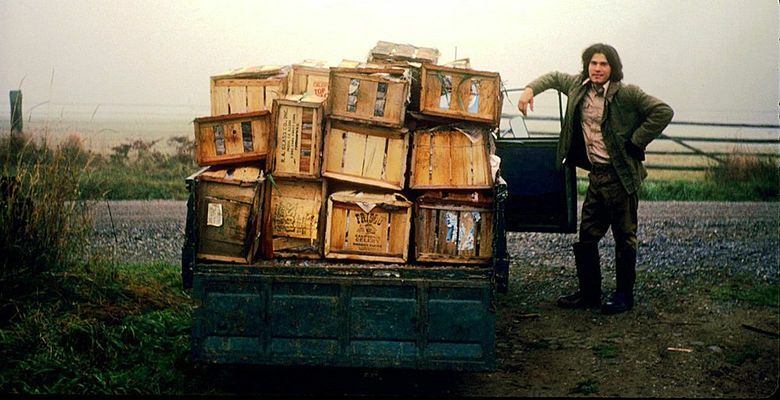 “You don’t have Yukon Gold potatoes; you don’t have golden raspberries … you’ve only got three varieties of apples.” McKinney wanted them all. Even packaged salad greens from Pragtree came to Larry’s — a crazy idea then and a precursor to the clamshells of spring greens that are now supermarket staples around the globe. Moving on to Pike Place Market, historic Ground Zero for locally farmed foods in Seattle, Musick was tasked with rebuilding the Market’s role as a shopping destination rather than a tourist attraction. He oversaw its first Community Supported Agriculture program, essentially a seasonal fruit-and-vegetable subscription, and introduced Organic Farmer days. As the years went on, so did the variety of his projects: He worked to include food waste in compost pickups, now also a Seattle given. 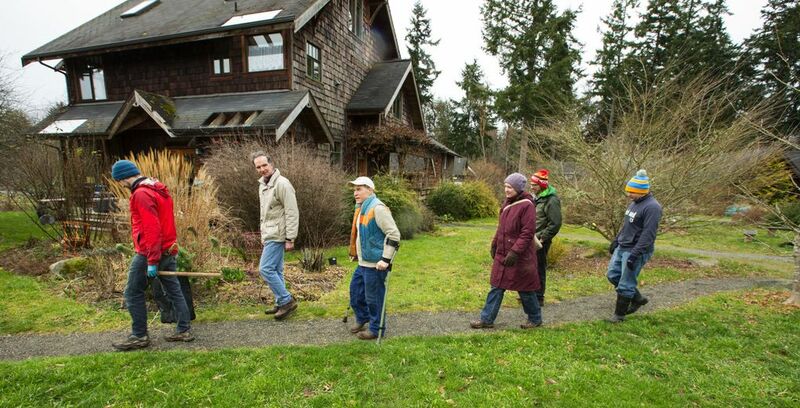 He and his wife, Terry Mendenhall, were founding members of one of the country’s first co-housing communities. Currently, he’s communications coordinator for the King Conservation District, a public resource-conservation agency. 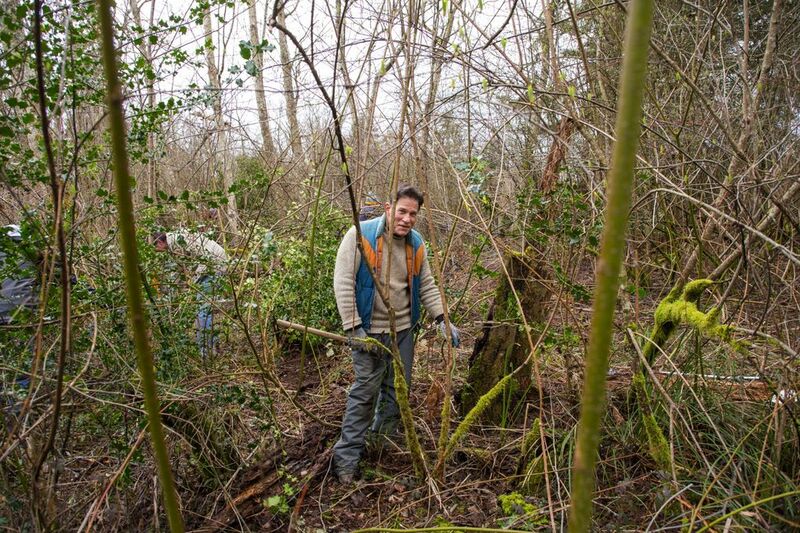 His ventures do come together at times, as on a brisk March day when Musick stopped by his old stomping grounds at Pike Place Market, attending an awards ceremony for an agricultural drainage program he helped initiate for the Conservation District. 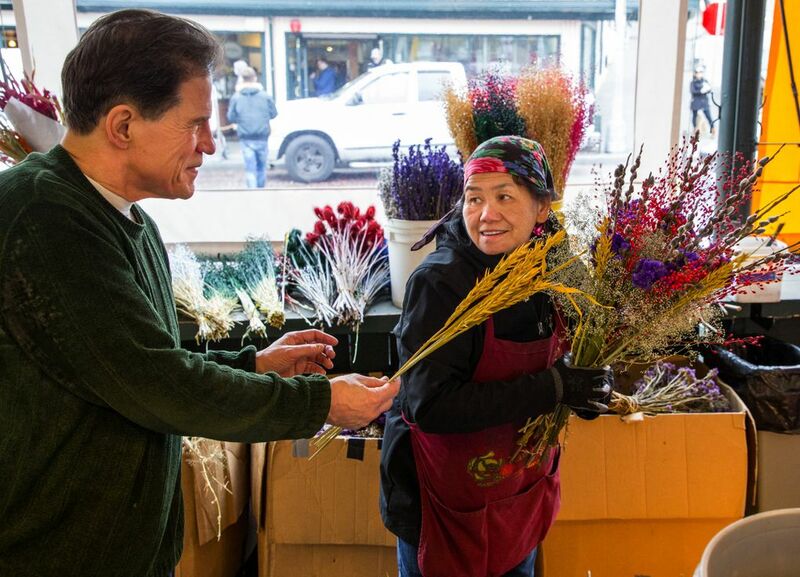 At the See Lee Farm flower stand, he visited Cheu Chang, a farmer he met nearly 30 years ago, when she was growing bok choy and gai lan on her Eastside farm. Her son, Scott Chang, says the farmers appreciated the drainage work that’s reduced standing water on their land. But until Musick came over to say hello last year, at least a decade since their last contact, “We didn’t know it was him” who had been involved. “We tend to think that local food culture is a recent invention. But people put in long and difficult hours to make it happen,” Sanders says. So why isn’t Musick better known, when most people with his résumé would be a household name? Like other prominent figures of his era, he was a facilitator, an organizer and a conduit for change: the glue that held an organization together, the third author on a research report, the man who surveyed farmers and held taste tests for heirloom apples and alphabetized and mimeographed and filed and lobbied. “Mark emerges from that more earnest and almost collectivist ethos of a different age,” Sanders says. He and his contemporaries were on the farms as much as in the city, out of sight. IF THERE’S NO ONE quite like Musick in the region, it’s probably also because he was formed in a very specific crucible. Musick remembers his father as “an incredibly powerful person,” a military man and a star football player from a family of 10 kids in Appalachia. His mother was the only child of a Chicago dentist, a former schoolteacher who was “very sophisticated in her way.” Musick was the middle child of seven — and the one who was hit with polio as a toddler, at the peak of the national epidemic. Paralyzed from the waist down, he lived in the hospital for months. Visitors, including his mother, were allowed just once a week. 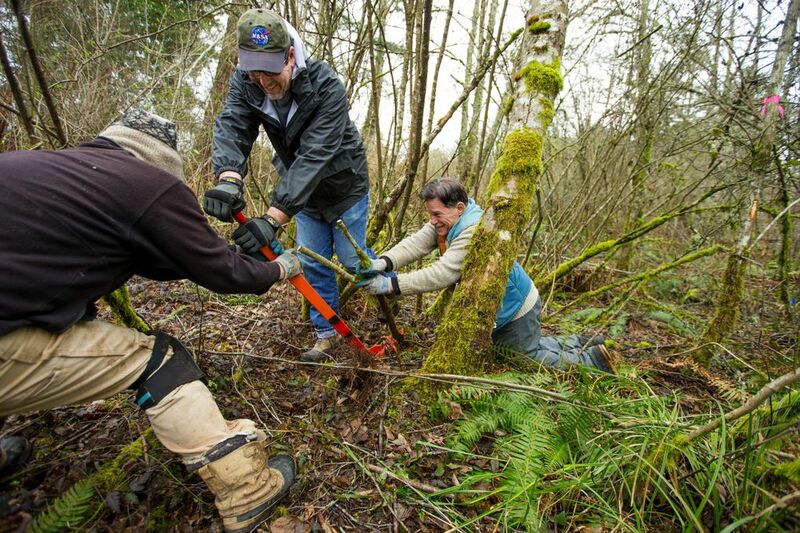 A connection with nature came easily growing up in small-town Steilacoom, by the shimmering waters of Puget Sound. The yard was filled with Gravenstein apples and Italian plums. Agricultural and entrepreneurial streaks showed themselves early; Musick remembers riding the bus to pick summer berries with other kids in the Puyallup fields. “I was so lucky,” he says. Widespread unease in those days focused on industrialization and disconnection from the land. The Whole Earth Catalog by Stewart Brand — the publication Steve Jobs once called the Google of the pre-Google days — was helping people find resources to push back, stressing the importance of libraries. Pursuing graduate work at newly opened The Evergreen State College in Olympia, Musick designed a library reference area dubbed the Whole Earth Access section, which included buying every book in the catalog. The speech led to the Northwest Conference on Alternative Agriculture in Ellensburg, attended by more than 800 people, which in turn led to the Tilth Alliance. 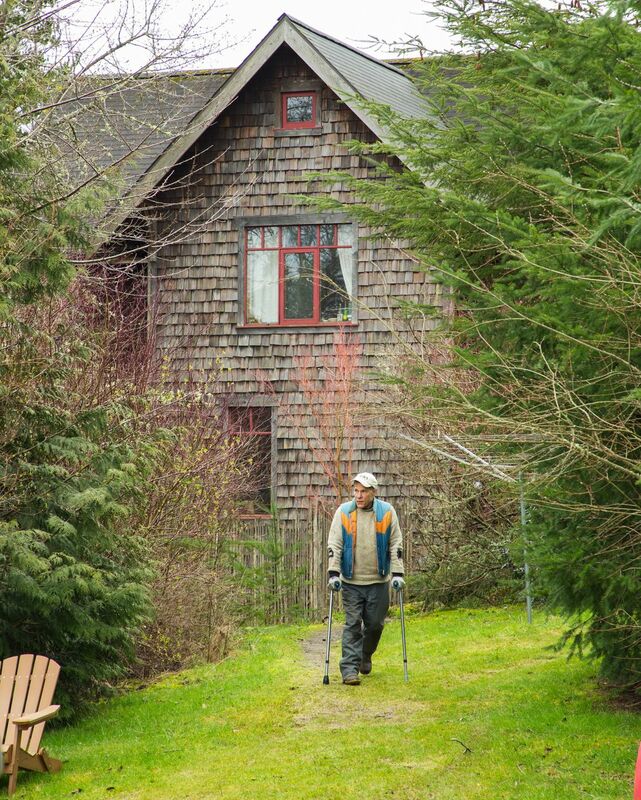 In a 151-page typewritten directory Musick compiled after the conference, many names blaze from the pages: Gene Kahn, founder of Cascadian Farm. Darlyn Rundberg, organizer of Seattle’s first P-Patch. Sam Benowitz, founder of Raintree Nursery. Several leaders of organic and sustainable farming at WSU. The cross-referenced lists of interests included, to select just one letter, goats, grains, greenhouses, Gandhian economics, garlic and geology. Descendants of the original Tilth association now oversee organic certifications and farmers markets, educational farms and gardens, and organic farming programs. In just one of its major influences, Binda Colebrook’s “Winter Gardening in the Maritime Northwest,” one of its first publications, inspired the founding of the Territorial Seed Company. It was networking in the days before networking. DECADES LATER, MUSICK is still building that network, still quietly, whether poring through boxes of photo negatives to properly capture one farmer’s legacy at Pike Place Market, or explaining in a Conservation District newsletter how small-scale farmers can make a viable business out of raising chickens. His life now seems the natural, deep-rooted culmination of his prior work. 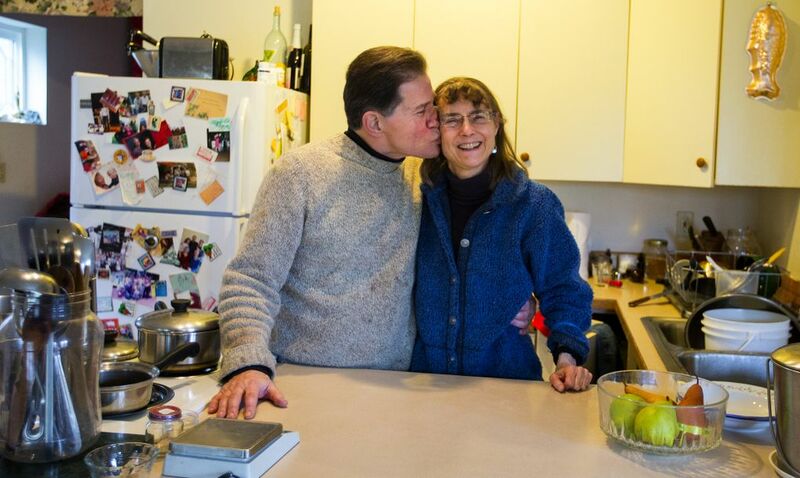 At what’s now the Tilth Alliance in Seattle, where he and Terry were married, an apple tree is growing that’s a graft from the tree at his childhood home. 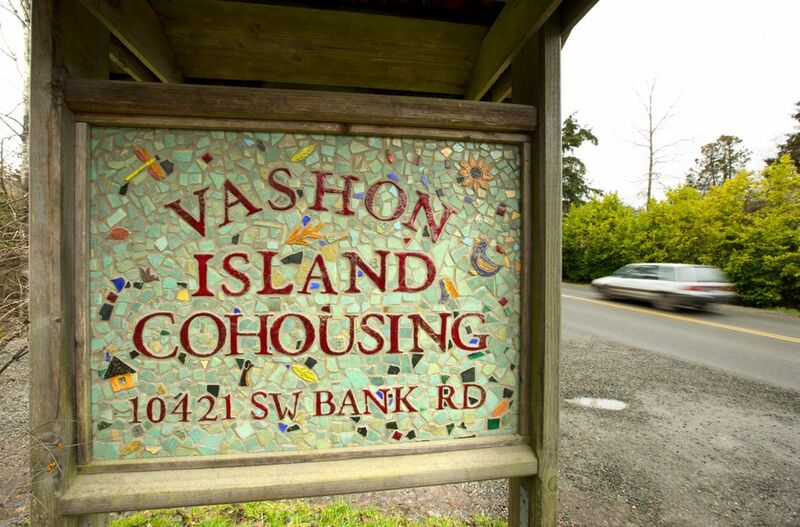 On Vashon Island, which he calls “probably the most benign climate in North America,” they live in one of 18 small homes concentrated in a co-housing property, surrounded by acres of undeveloped land, adjacent to a garden owned by a nonprofit land trust. Visitors might be met with home-canned apple butter. Regular work parties and social events all contribute to a strong community. Serving lunch in the property’s central common house, which includes guest rooms and a commercial kitchen, Musick explains that it can be rented out to local businesses or for social events, a practical way to help the organization stay viable. He calls this his capstone project. BY THE END of 2017, Musick expects to formally retire from his day job. 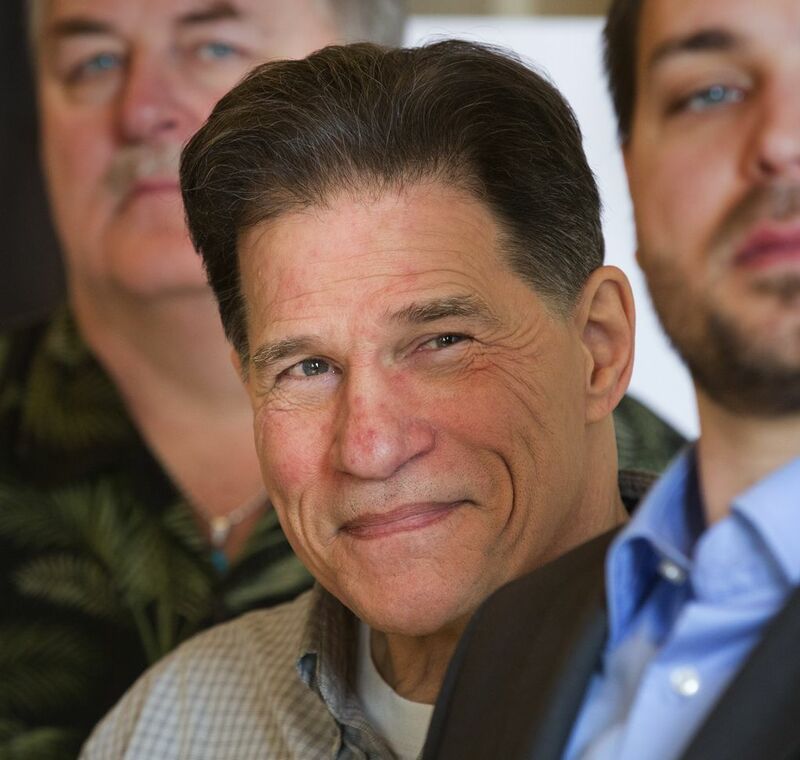 No one expects his informal work to cease, but it begs the question: As our region’s champions move into emeritus status, who will take their places? Whoever does has a head start. And rather than one person, it’s likely to be many. In the speech that catalyzed a movement, Musick remembers Berry saying that the language didn’t exist for some of the issues they were trying to address. “Sustainable” wasn’t a term people used. “Climate change” wasn’t on their radar. Now we consider food security, food systems, foodsheds, food sovereignty. Agencies and governments are better equipped to face problems. Communities congregate at farmers markets around the state, caring about issues that affect farmers and food. Musick remembers Berry saying that the constituency was small but not without its means. Step by step — many of his own steps among them — that has changed. “Now you look back, and that constituency is vast,” he says.